Romania has been plagued with terrible leaders (Communist President, Nicolae Ceasescu, anyone? ), and steadily growing poverty over the years, but what the newly appointed government, led by Prime Minister, Sorin Grindeanu, passed on the evening on January 31, 2017, is a new low, by all standards. The sequence of events are as follows – a few days after the Grindeanu Cabinet was sworn into the Romanian office, they secretly passed an order that altered the Penal Code and Penal Procedure Code, which in short means that certain individuals who have committed crimes of corruption have been pardoned and in essence, the government decriminalized government corruption. In a country like Romania, where the abuse of power runs in the very veins of the country’s history, the fact that the new government passed an amendment that would assist in the release of a large number of current and past politicians from investigations and prison sentences for their involvement in corruption, is enough to make any citizen livid; and they most certainly are. 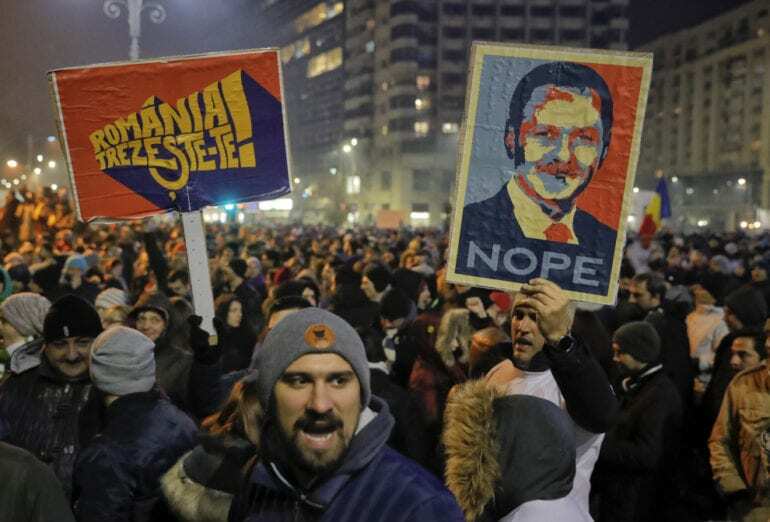 The moment the public heard of the Grindeanu administration’s decision, they went into the streets to protest the very criminal decision that was made. The amount of demonstrators started with an astounding 25,000 people, quickly growing to more than 300,000 throughout the country. 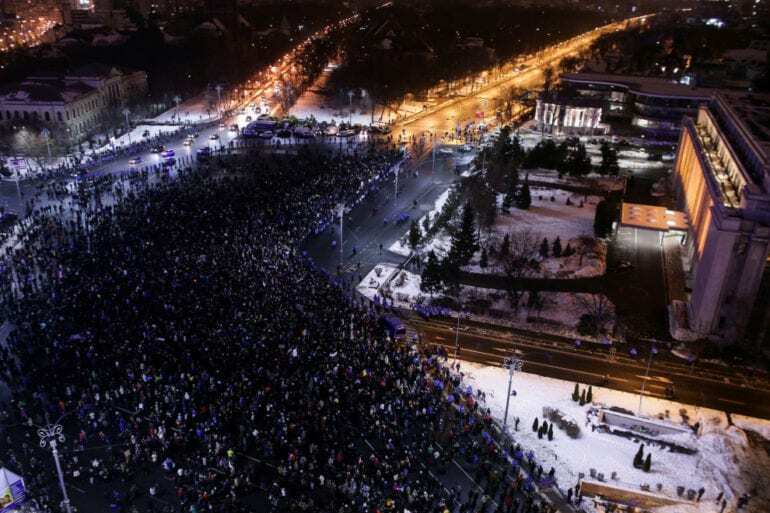 The amount of people protesting surpassed the amount of those who came out for the fall of Communism in the country, and the overthrowing of Nicolae Ceasescu. The numbers were consistently growing as the days have gone by, with more and more people joining to overthrow yet another decision they didn’t agree with, related to a whole new leader who they are not willing to let become a Ceasescu 2.0. Protesters grew to 500,000 and then 600,000 at the peak of the demonstrations on February 5th, 2017. The amount of people and noise this was making paid off. As of today, the government has withdrawn the ordinance, pending the approval of the Romanian parliament, which is sure to consent. Additionally, Florin Lordache, who was the minister of trade, business, and entrepreneurship and the one who was responsible for the law being pushed to be amended, has left the position after the outrage of the public grew to numbers that no one in the country, and now the world, can ignore; both of these events are vital for the continued fight by the people for the permanent retraction of the amendment. The next stage of the protest is calling for the resignation of the Prime Minister himself. The people of Romania have been scarred by former leaders who reigned over the country with an iron fist and did nothing positive for the working people within its borders, but only raised the level of living for the already extremely wealthy, creating an even greater economic gap. 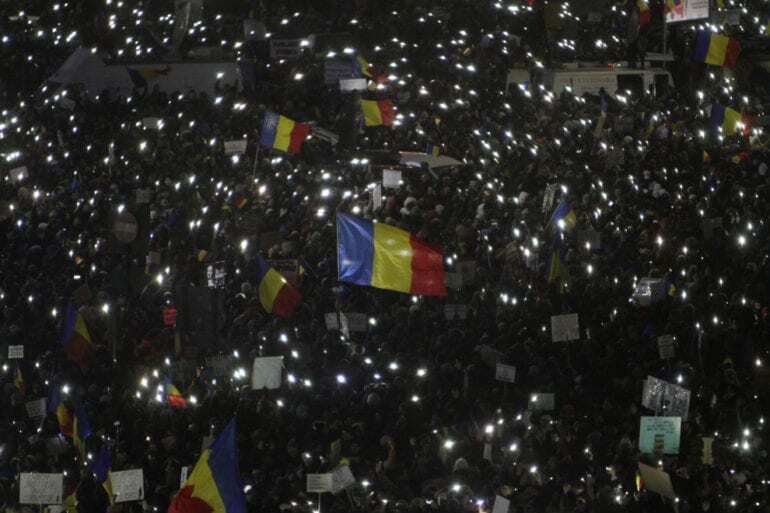 Due to the fact that the Romanian people have known such oppression, seeing a new government try to pave a similar path is basically triggering their form of PTSD, prompting them to take a stand and resist. The confrontation between the government and people is still ongoing, but the people are finally speaking up and are not planning on being silenced. Only time will tell what will happen with this specific situation, but there is a new precedent in the people’s resolve, one that is not going to let the government get away with whatever they want because they are in positions of power. The people have spoken.